Hotel: self-parking, restaurant, bar, snack bar, heated outdoor pool, BBQ facilities, sun terrace, garden, accessible features, fitness centre, business facilities, meeting space, 24-hour front desk, luggage storage, ATM, cleaning services, gift shop. Room: free WiFi, pets not allowed, non-smoking, air-conditioning, accessible studios, suites, flat-screen TV, kitchenette, microwave, tea/coffee maker, refrigerator, toaster, pay-per-view channels, ironing facilities, iPad dock, hairdryer, large work desk, laptop safe, cribs. Hilton Grand Vacations at the Flamingo is a 4-star retreat on the Las Vegas Strip, just on the 15-acre Flamingo property. Being close to Las Vegas’s finest entertainment venues like Bally's, Caesars and the Bellagio, while located far enough to offer some peace and quiet while enjoying the heated outdoor pool or lush gardens, makes this a popular Las Vegas resort among both leisure and professional travellers as well as families on retreat. Click to book your Las Vegas show tickets. There are 315 guest rooms with a single king bed and a seating area with sofa, wet bar, microwave, refrigerator, toaster and coffee maker, as well as up to 1,340 sq feet two-bedroom suites and accessible studios and suites within the property. For the good price, guests will get a handful of complimentary room amenities, such as free WiFi, large flat-screen TV with 75 cable channels, extra blankets, pillows, and ironing facilities, and Peter Thomas Roth toiletries. Cribs are free, but there are no rollaway beds. The on-site facilities also include a fitness room, paddle tennis table, pool table, and the outdoor pool with a hot tub. Other than the large in-room work desk, business needs can also be managed using the Hilton’s business facilities or event spaces. While there are no on-site restaurants for fine dining, there’s the Desert Garden Shop and Deli with patio seating as well as breakfast, lunch and dinner specials, as well as a seasonal pool bar that’s open from April until October. 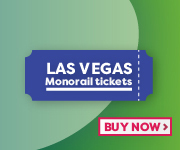 With the help of the concierge desk or taking a stroll, the Hilton guests will also find the Las Vegas Monorail Station just steps away from the hotel. And with the other prominent Las Vegas hotels nearby, including the Flamingo, there are plenty of entertainment and culinary options for every taste within walking distance.